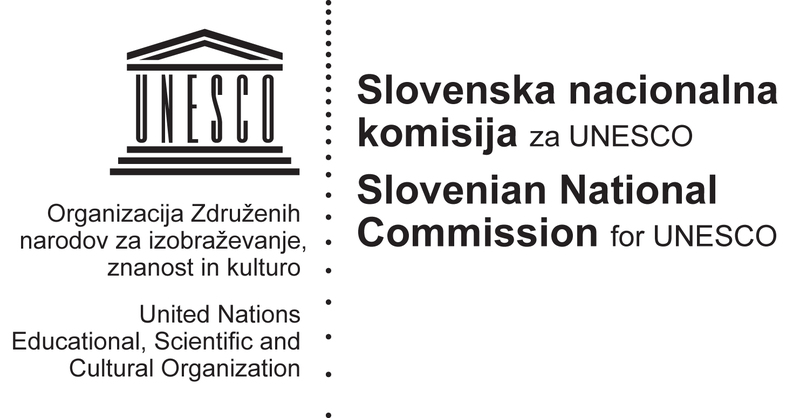 OpeningupSlovenia was presenting an upcoming report on the use of AI and OER, together with UNESCO’s Communication and Information Sector. This years UNESCO Mobile Learning Week 2019 (4-8 March) focused on Artificial Intelligence and sustainable development. 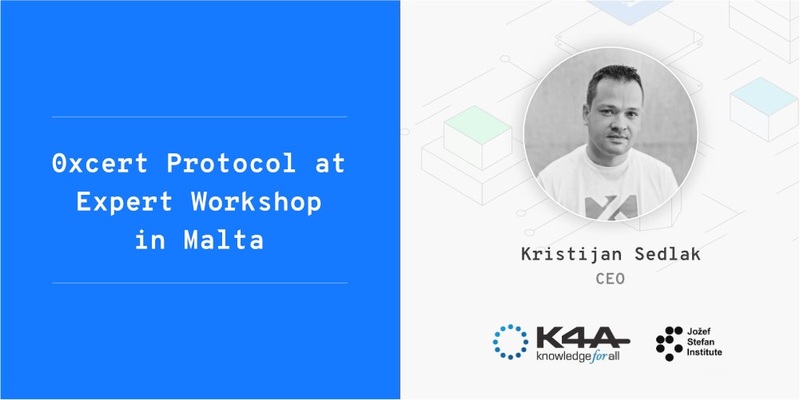 Together with our partners, Knowledge 4 All Foundation (K4A) and the Jozef Stefan Institute (JSI), 0xcert is building a blockchain-based system for issuing and management of academic credentials, leveraging blockchain qualities of traceability, security, and ease of authentication. Also, by implementing the NFT (non-fungible token) technology, the uniqueness, metadata, and identity related to a certificate or micro-credential can be securely protected on a ledger while providing all involved parties with a simple, autonomous, and intuitive means of management. All this is being developed within the MicroHE project which aims to provide the most comprehensive policy analysis yet conducted of the impact of modularisation, unbundling and micro-credentialing in European Higher Education. We attended the AI World Summit in Amsterdam, and two presentations stood out to validate our approach in personalisation in education and the approach of our own alliance in Slovenia. The presentation matching our AI work in Slovenia was by Squirrel AI, headquartered in Shanghai, Yixue Squirrel AI is the first K12 EdTech company which specializes in intelligent adaptive education in China and is the market leader. Squirrel AI is a machine that regularly outperforms human teachers and redefines education, says founder Derek Haoyang Li. Another presentaton we watched with great delight was the launch of the ALLAI Nederland, the first national alliance on artificial intelligence in Europe, a similar initiave to OpeningupSlovenia. We were invited to the Roundtable on “Artificial Intelligence: Reflection on its complexity and impact on our society”, commemorating 25 years of reflection on bioethics and ethics of science and technology at UNESCO. The roundtable will be moderated by Prof. Peter-Paul Verbeek, Faculty of Philosophy of Twente University, Netherlands and a member of the World Commission on the Ethics of Scientific Knowledge and Technology of the UNESCO (COMEST). The University of Nova Gorica and UNESCO Chair on Open Technologies for OER organized a 5-day course on Open Education Design in Lanthieri Mansion in Vipava. The course equiped the participants with basic knowledge, practical advice and hands-on experience to prepare them for their own design of OER. Slovenia hosted the 2014 edition of the OE Global conference. This years edition was the most internationally diverse one, devoted exclusively to open education, attracting researchers, practitioners, policy makers, educators and students from more than 35 countries to discuss and explore how Open Education advances educational practices around the world. OuS members attendedd with a set of presentations on technology, policy and content solutions, shown by X5GON project, VideoLectures.Net portal and UNESCO Recommendation in OER. Our members have presented a session on “Fixing Copyright to Meet the Needs of Educators – Global State of Play” at the Creative Commons Summit in Toronto, Canada. The session essentially described the legislative process in multiple countries concerned copyright and education in 2017. More importantly, how this became an important advocacy issue, with activists networking to raise visibility of the issue, and in order to better support each other. The session reflected on those developments, and build momentum for 2018 and later. Policies have a key role in determining, and improving the state of our education. Following the success of the 2nd World Open Educational Resources (OER) Congress, our members helped in the preparations for the UNESCO Recommendation in Open Educational Resources (OER). This is an official UNESCO policy instrument that will both advise national governments on how to support open education in their countries and report on those efforts. The online consultation process is now open and we invitate you to contribute to the draft. The text is available for download in English and French. The Slovenian delegation was invited to the Mobile Learning Week at UNESCO, to present to Member States and other stakeholders at the event the latest news about the 2017 Ljubljana OER Action Plan. The plan provides recommendations to stakeholders in five strategic areas, namely: building the capacity of users to find, re-use, create and share OER; language and cultural issues; ensuring inclusive and equitable access to quality OER; developing sustainability models; and developing supportive policy environments. OuS members have been invited by Marietje Schaake, Member of the European Parliament (MEP) as speakers to a roundtable at the Future of Technology in Education at the European Parilament. The aim was to assess the question of digital technology in education and policies, and explain whether new technological and legal developments – especially article 4 of the proposed copyright directive – can be an enabler or a roadblock in this context.